Are you a group of friends or families? A sport or cultural association? If you are planning a break immersed in the nature with lots of outdoor opportunities, Lunigiana and La Stele are what you are looking for. Away from the hectic life of the city, immersed in the nature and timeless landscapes of the Apennine National Park, here you can relax, walk, cycle, and refresh in pristine rivers. La Stele is a modern hostel in Treschietto, small village in Lunigiana, northern Tuscany, part of the Apennine National Park and Mab Unesco Reserve. 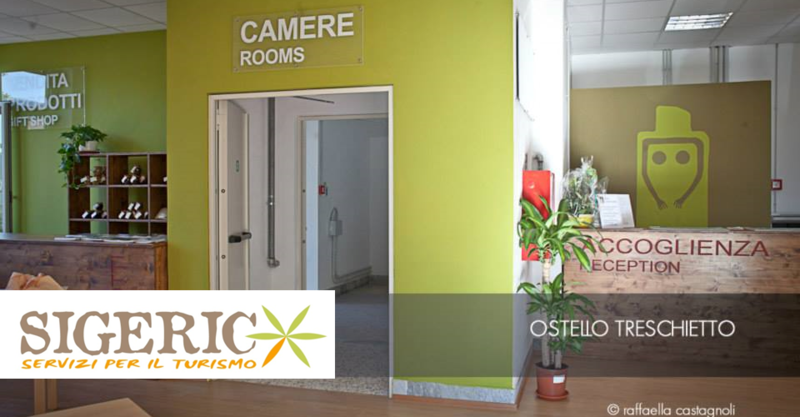 The hostel features single and double rooms with private bathrooms or shared rooms (5, 6 or 9 people). It is possible to choose self-catered (used oa fully equipped kitchen) or b&b / half board service. More info about the accommodation. Lunigiana, the Apennine National Park and Unesco Man & Biosphere Reserve offer lush chestnut woods, pristine rivers, and charming medieval hilltop villages. 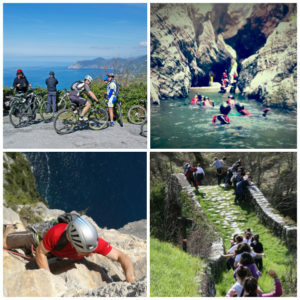 You can choose between a variety of outdoor activities for beginners, families or more adventure type. Explore pristine rivers with our canyoning Apennine National Park activity. Experience an enthralling day with jumps, rope descending, toboggan. Various itineraries of different difficulty levels, with an alpine guide assistance. Cinque Terre climbing and deep water soloing activities in the nearby Gulf of Poets of La Spezia. If you want to experience the mountain but don’t feel ready to climb, you can try a fantastic experience on a iron way in the beautiful Apuan Alps with the assistance of an Alpine Guide. CYCLE by e-bike to discover pristine landscapes, medieval villages, parish churches and castles. Cycling tours in Lunigiana – Tuscany, Apennine National Park and Mab Unesco reserve. TASTE the authentic local and rustic cuisine. Different level of guided or self-guided hiking itineraries in the Parks of Apennine, Apuan Alps or Cinque Terre. If you want to explore Lunigiana, the Via Francigena or the Apennines National Park by bike on your own, rent one of our fantastic e-bikes! E-bikes are just as normal road and mtb bikes with gears and with an electric motor assistance that allows everybody, also those who are not particularly fit, to easily explore our area.